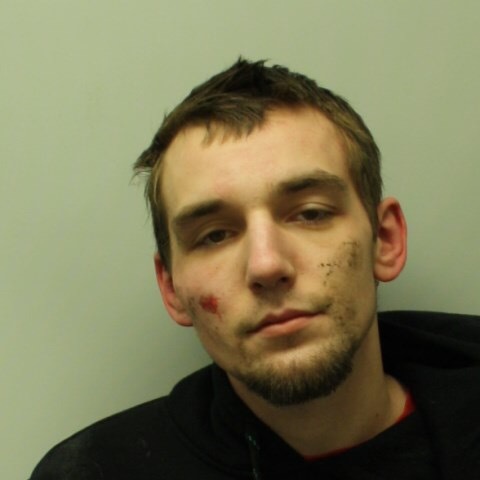 On February 10, 2017 the Tewksbury Police Department arrested Howard Luke, 22 of 39 Brad Ct., Manchester N.H. for trafficking fentanyl, 3 counts of possession with the intent to distribute a class c substance (clonazepam, diazepam and psilocybin mushrooms), assault and battery on a police officer, assault with a dangerous weapon, resisting arrest, willful and malicious destruction of property, reckless operation of a motor vehicle, failure to stop for police, disorderly conduct and an equipment violation. Detectives observed Luke acting suspiciously on Rt.133 while he was seated inside of his parked vehicle. When Detectives approached him they could see Luke with a syringe in his possession filled with narcotics. Once Detectives identified themselves and asked Luke to shut off his vehicle, he abruptly shifted his vehicle into reverse striking one of the Detective’s with the opened door. Luke’s vehicle was stopped by the Detective’s vehicle which was parked behind Luke’s due to him crashing into it. Luke was able to be removed from the vehicle where he was placed into custody. Luke was arraigned on February 13, 2017 at Lowell District Court.